How much is a simple tooth extraction? An extraction is classified as regular (simple) type of extraction because the tooth can easily be removed with dental forceps. 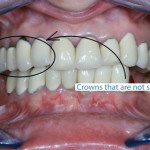 Although the tooth is decayed or non-restorable, it has enough tooth structure above the gums. A general dentist usually performs the tooth extraction while you are under local anesthesia, unless you need multiple extractions. The average cost of a simple extraction in the US varies from $150 – $250 per tooth. The corresponding average cost of a tooth extraction in Mexico is $40 – $80. How much is a surgical extraction? In this image, you see a tooth that broke off the gum line. This type of extraction would be a surgical extraction. 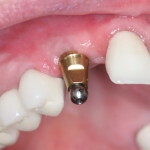 The specialist would have to remove the tooth root. Surgical extraction is necessary if the tooth is broken off the gum line or has not fully erupted. Although this can be done by a general dentist, usually an oral surgeon or a specialist performs this type of tooth extraction. It can be performed under local anesthesia or sedation dentistry. How much is a surgical extraction? The average cost in the US is $250 – $400. In Mexico, average cost of a surgical extraction is $80 – $150. How much is a wisdom tooth extraction? Wisdom tooth extraction is the most complicated type of extraction because of its anatomic bone attachments and proximity to important nerves. 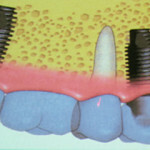 It involves the removal of the very back teeth (teeth numbers 1, 16, 17, and 32). This often performed by an oral surgeon or periodontist. With the proper training, a general dentist can also fully erupted wisdom teeth extraction. Wisdom tooth extraction is performed with local anesthesia, IV sedation, inhalation sedation, or general anesthesia. In the US, the average cost of wisdom tooth extraction is $400 – $600. The average cost of a wisdom tooth extraction in Mexico is $150 – $250. 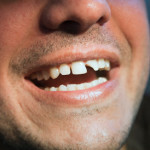 How much is a tooth extraction with insurance? If there’s one thing you can rely on dental insurance, it’s covering your tooth extraction. Whether you go to the US or Mexico, your dental insurance usually covers your extraction. How much is covered by dental insurance? On average, around 40% to 80%. Even if you travel to Mexico for dental care, your dental insurance will cover your dental extraction through a reimbursement process. By applying your dental insurance to Mexico prices, you extend your dental savings significantly. Of course, be aware of the yearly maximum limit that you can spend on your dental insurance. Every insurance plan is unique. Do you have questions about the cost of tooth extractions? Share your questions through the comment section below. We’ll get you answers.